In this free video guitar lesson, you use the CAGED system to play chord shapes and inversions featured in the song “Hold On Loosely” by 38 Special. 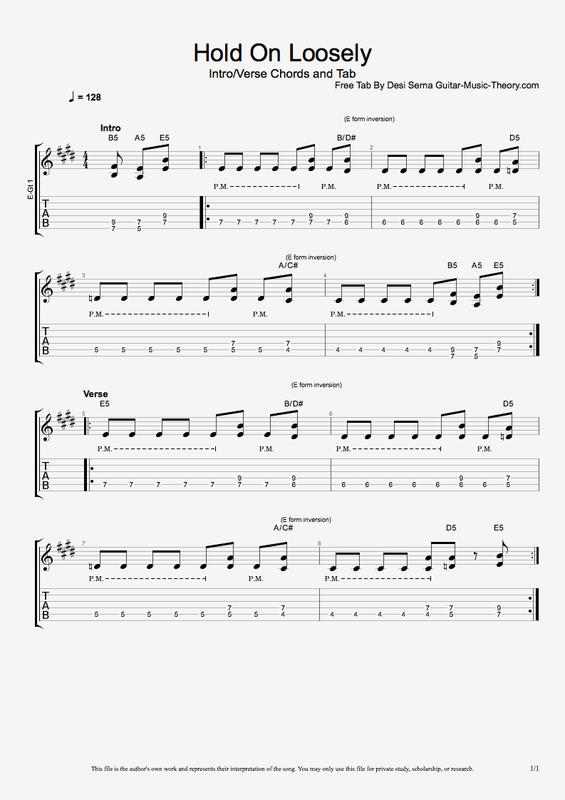 Follow along with free Hold On Loosely guitar tab by choosing from the options below. To learn more about guitar theory including guitar scales, chords, progressions, modes, and more, visit the Guitar Music Theory homepage and sign up to take a free tour of the member area. 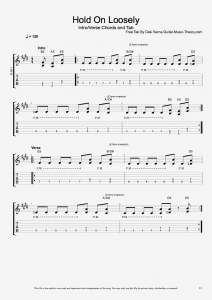 All of the guitar instruction available on this website focuses specifically on the guitar fretboard and relates everything to popular guitar songs. 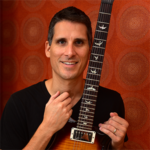 Hailed as a “music-theory expert” by Rolling Stone magazine, guitarist Desi Serna is a music instructor and author who has written several books on guitar including Fretboard Theory, Fretboard Theory Volume II, Guitar Theory For Dummies, Guitar Rhythm and Technique For Dummies, and How To Teach Guitar and Start Your Own Music Instruction Business. 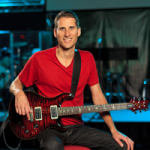 He is known for his practical, hands-on approach to music teaching, with a focus on the guitar fretboard and emphasis on popular songs. Desi honed his craft through decades of teaching, performing, and publishing. He lives in the Nashville, Tennessee area, produces all the instruction featured in the GMT Members area, and is online everyday connecting with his subscribers and giving guitar players personalized training and support.